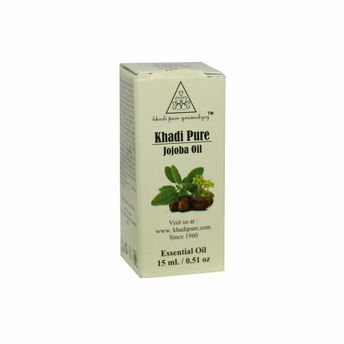 Khadi Pure Gramodyog Herbal Jojoba Essential Oil is for external use only, it can be mixed with other carrier oils. It helps to control acne and can be used in massage with antioxidants. It also has emmenagogue properties.